Charter flights to the Caribbean are the most comfortable, convenient and intimate way to begin your Caribbean getaway. The islands in the Caribbean are some of the most visited jewels of the sea. Arrive in style aboard a light or mid-size jet heading to the Virgin Islands, or charter a turbo-prop to reach your favorite remote, exotic destination. Wherever you decide on visiting, our private air charters to the Caribbean help get you there in the most luxurious way possible. We specialize in VIP charter services for affluent travelers visiting the islands, as well as honeymoons, weddings and luxury yacht charters. Are you planning on an extended stay at a beach-side resort, or have a private home on one of the islands? Ask one of our charter brokers about one-way pricing and available empty legs in the Caribbean! Our office is based in South Florida, and we have several connections with local operators and aircraft owners. Private aviation is extremely popular in both South Florida and the Caribbean, giving us access to thousands of aircraft to offer you the most competitive charter rates possible. Call ACA and book a private jet to the Caribbean! 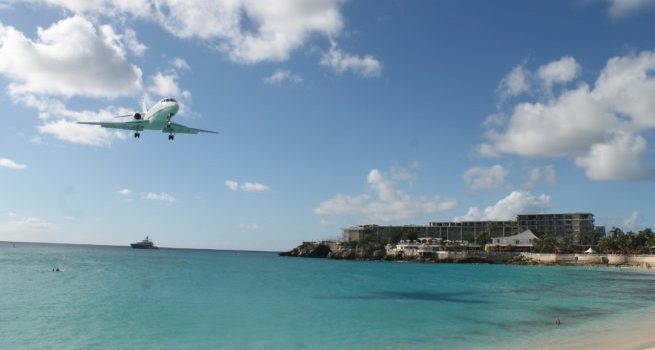 Air Charter Advisors arranges private flights to the following islands in the Caribbean. If you’d like to visit more than one island during your trip, speak with our team about the options for multi-leg flights so you can get the most out of your Caribbean getaway. Our team uses the following private aircraft for private flights, all operated by FAR Part 135 or 121 (or foreign equivalent) air carriers. We can provide a range of options based on the goals and budget of your trip, from a cost-effective flight to save time and avoid hassles, to booking the most luxurious jet to complement your lavish Caribbean getaway. Check out our Aircraft Gallery for more details; if you don’t the type of plane you prefer listed, call one of our brokers to see if it is available. Email us or give us a call at 1-888-987-5387 to speak with one of our brokers for more information about private aviation in the Caribbean. Our team is available 24 hours a day, 7 days a week to assist you in all aspects of private aviation.